Gisele Bundchen presented the World Cup Trophy in Brazil this evening to Germany. Before the big moment, however, she was very active on instagram, sharing selfies up a storm. The model attended the World Cup Final wearing Louis Vuitton. No surprise there as she was presenting the Louis Vuitton trophy. She wasn't going to walk out wearing Celine, now was she? 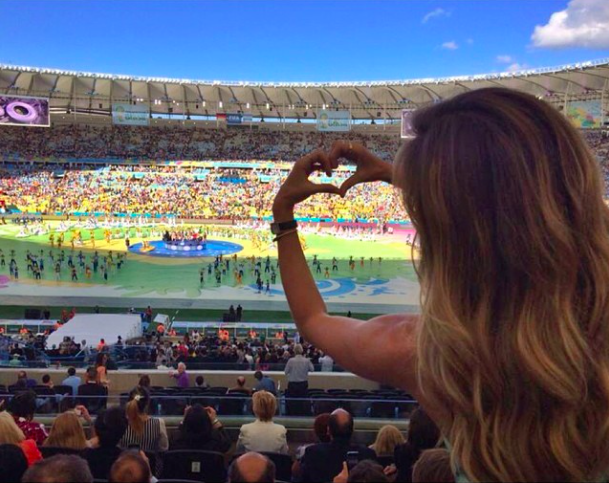 Here's a look at Gisele's mini photo diary of the big moment. From pre-game selfies to game-on madness, it's all here to take in.